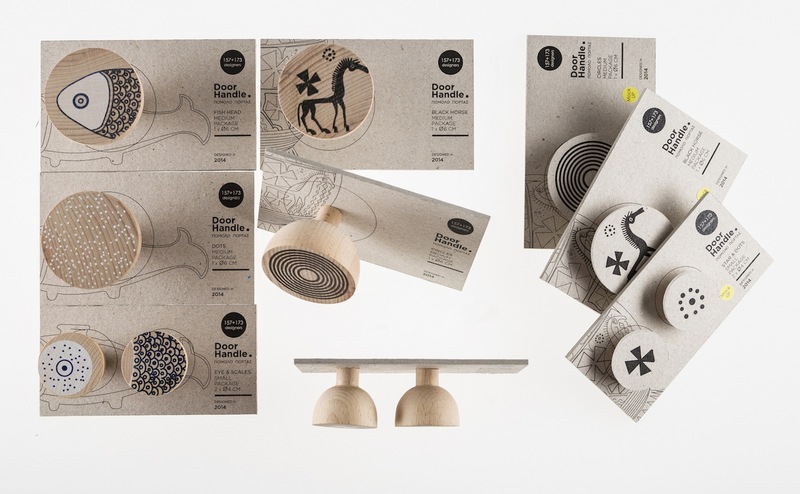 Wooden doorhandles are inspired by designs on ancient Greek amphoras and murals. Originally designed for Benaki museum, they later became part of our self production, wooden doorhandles extract a natural feeling ,to refer to their source of inspiration. Patterns and figures are kindly re-designed to gain a fresher feel, but still at the same time, remain as recognizable ancient figures that communicate us with our history. Patterns and figures are silkscreened onto a lathed half-sphere beech wood piece of 3 different sizes. 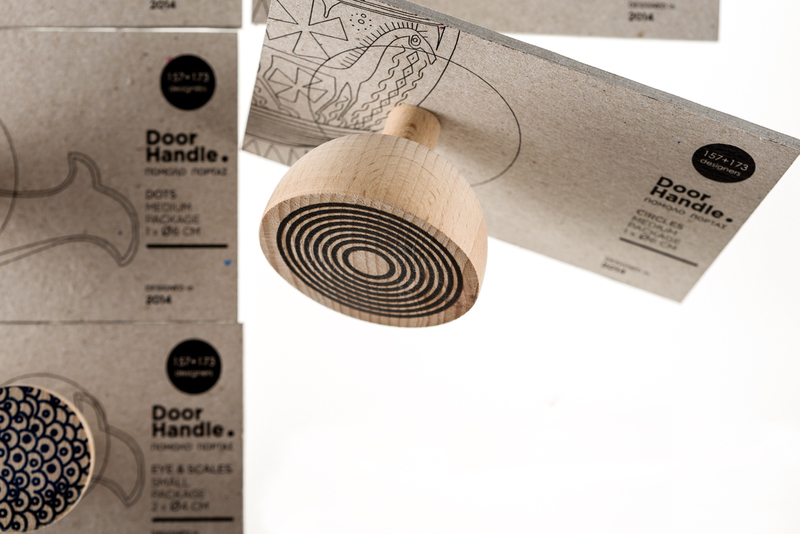 Their packaging includes a hard cardboard, also printed with the same as the doorhandles motives, where a wooden doorhandles are attached onto.